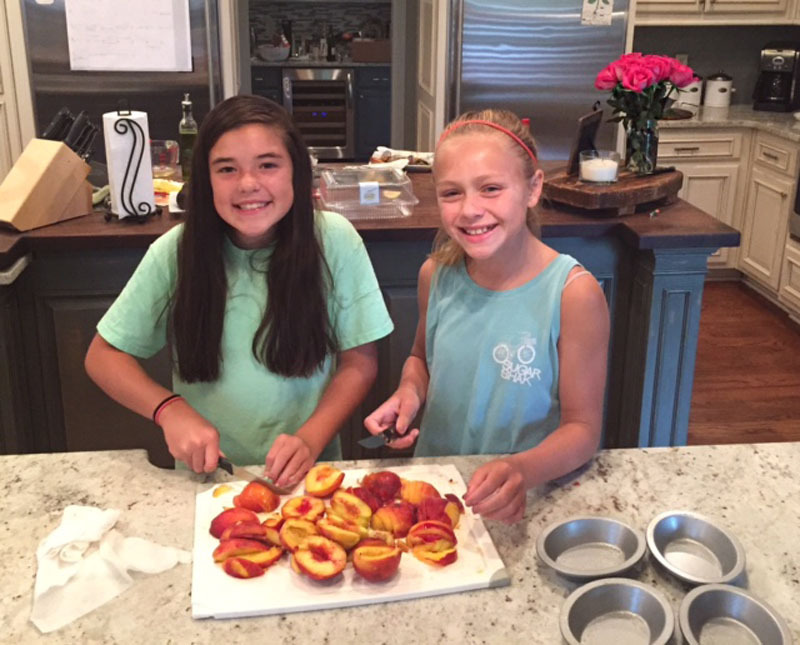 It was a perfect summer night for a sleepover, and our daughters Caroline, Livy, and “quasi adopted daughter” Charlie wanted something to bake before their movie. Yikes! I’m not the best at baking desserts from scratch. I never was. My idea of baking is the “break and bake” cookies, or cake mix from a box. I am working on this and proud to say I’m getting the basics down. My grandmother always whipped up this very simple “sugar crisp topping” when we’d have sleepovers at her house. It practically turns into candy when sprinkled and baked over fresh fruit! I use this to top apples, pears, peaches, and berries. It makes for a great pie topping as well. Very simple and absolutely delicious for a quick homemade dessert. Preheat oven to 375°. 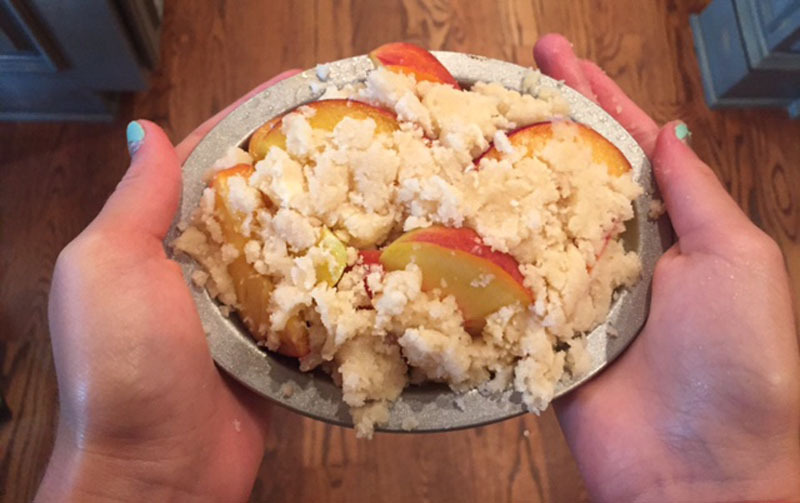 Cut peaches in half to remove the core, then slice into 1/2 inch pieces. Keep in mind, if you slice the fruit too thin it may become mushy during bake time. For is recipe, arrange the peaches in 4 individual baking dishes. You can always use the standard 9×13 Pyrex dish for a larger crowd – it will work either way. In a separate bowl combine the sugar, flour, and cold butter cubes. I always make sure the butter is very cold when cut into cubes because it’s easier to work into the sugar mixture. Scoop mixture onto the peaches. It doesn’t have to be perfect, but you’ll want an abundance of the crisp over the fruit. 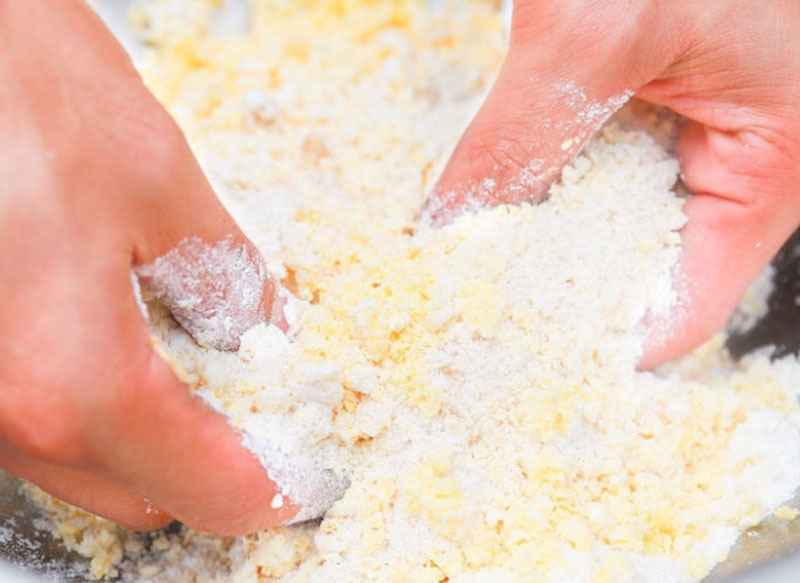 Using your hands (seriously – it’s the best because you physically control the texture this way), mix together until butter is evenly combined into crumbles. Cooking times may vary depending on what dish you use. I baked these individual dark dishes for 25 minutes. It was just enough time for the topping to get golden brown and bubbly. Pretty simple right?! At this point, you might as well break out the Häagen-Dazs vanilla ice cream and call it a night! I use this to top apples, pears, peaches and berries. It also makes for a great pie topping. Very simple and absolutely delicious for a quick homemade dessert. 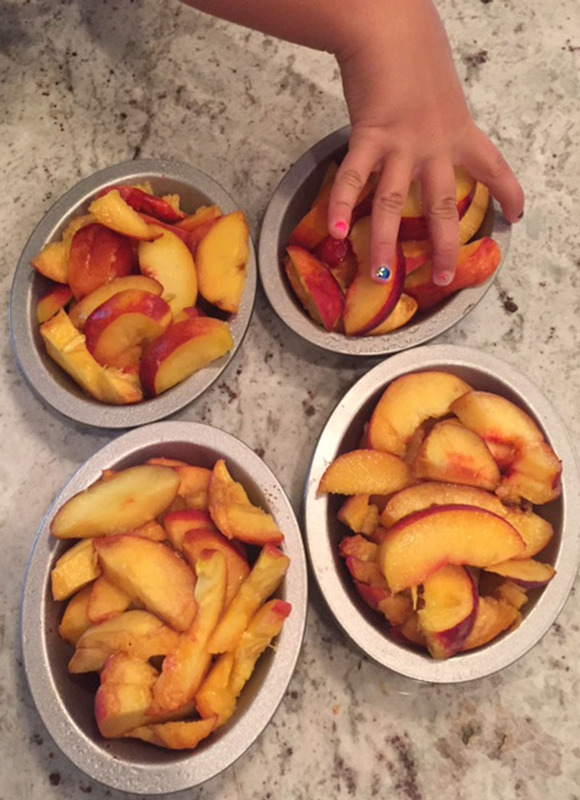 Cut peaches in half to remove the core, then slice into 1/2 inch pieces. 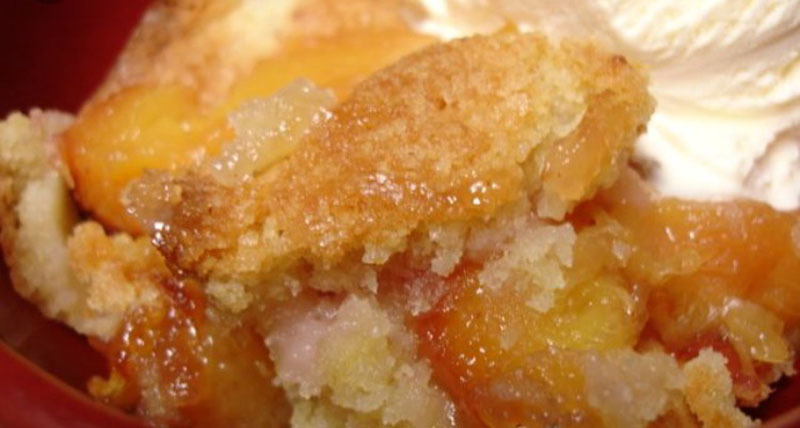 Don't slice the fruit too thin or it may become mushy when baking. 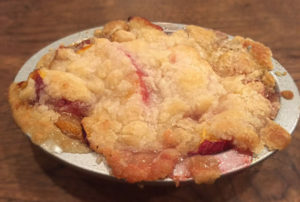 Arrange the peaches in 4 individual baking dishes, or use a big Pyrex dish for a larger crowd. In a separate bowl combine the sugar, flour, and cold butter cubes. 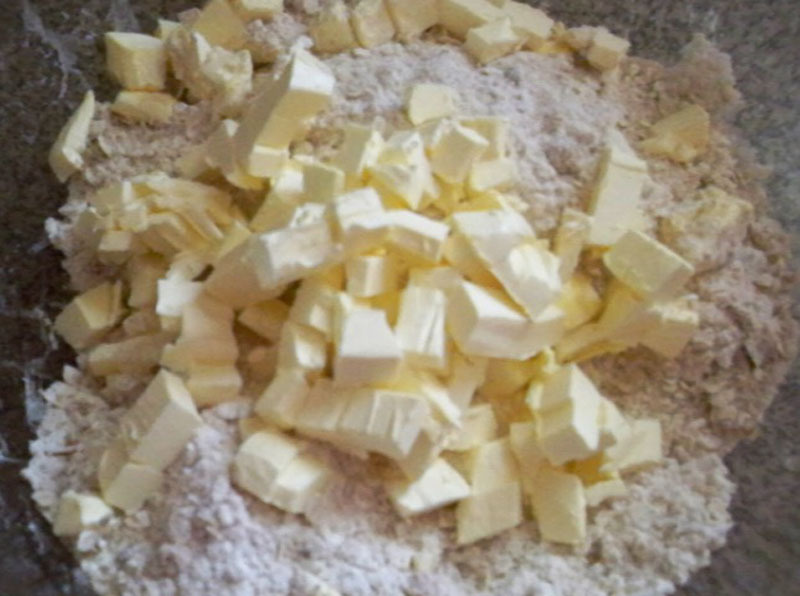 Using your hands, mix together until butter is evenly combined into crumbles. Scoop mixture onto the peaches. You'll want an abundance of the crisp over the fruit. Cooking times vary depending on what dish you use. These individual dark dishes took 25 minutes for the topping to get golden brown and bubbly. 4 foodies love this. Do you? I actually just made this to take to a summer gathering and everyone loved it. I used a 9×13 oven dish and your topping over apples like you suggested. Your a great twitter follow, love your blog!